Use Windows 10/8.1/7 ISO image to create install DVD or flash drive - PC Buyer Beware! If Windows 10, 8.1 and 7 gets irrecoverably hosed somehow and you are unable to restore a recent system backup or system image, Microsoft provides the installation files for every version in the ISO image format directly from its website. Note that the downloads are large, so a broadband connection is required. Apart from creating an install DVD or flash drive, all you need is your Windows Product Key. Always use ISOs downloaded from Microsoft. If you use a BitTorrent site, the ISOs can be infected with malware. The DVD and flash drive must have a capacity of at least 4GB and be empty, because any erasable files on the media are deleted. PC manufacturers, such as Dell and HP, use OEM versions of Windows that can only be used on the first computer a copy is installed on. The letters OEM are in the Product Key. 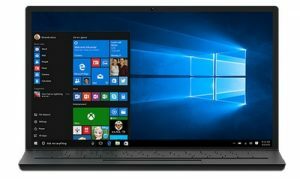 If you use one of the Windows ISOs provided by Microsoft to reinstall Windows on a computer using an OEM licence, it probably won’t activate. If that is the case, you will have to phone Microsoft’s Support to get an activation code. The Media Creation Tool is what Microsoft provides for users who want to create an install DVD or flash drive for their particular version of Windows. It is used in much the same way for both Windows 8.1 and 10. Note that an ISO image is not available for Windows 8.0, only Windows 8.1. All users of Win8.0 should be using Win8.1 because Microsoft no longer updates Win8.0. Also note that the Product Key for Win8.0 can’t be used with Win8.1. If you only have a Product Key for Win8.0, the only way to get up to Win8.1 is to reinstall Win8.0 and update it for free to Win8.1. Doing that will give you a Product Key for Win8.1. It is difficult to find the Product Key for Win8/8.1 and Win10. The free Belarc Advisor from belarc.com provides detailed information on a computer’s hardware and software. Click on Free Download. When installed it provides an option called “Software Licenses” on the left-hand menu that provides the product keys for all of the software on a computer. Always keep a note of your product keys. The Media Creation Tool’s file for your version of Win8.1/10 has to be downloaded from the relevant link. Click on the download to run the tool. Full instructions on what to do are provided. It’s the usual stuff. For Windows 10 you have to choose the option “Create installation media for another PC”. That might be a little confusing because you could also be creating it for computer that you are using, not another PC. As long as you have a valid Product Key, the computer used to create the installation media is irrelevant. Some of the options apply to creating the media for the computer you are using or another PC. For example, if you are creating the media for another PC, you should disable the “Use recommended options for this PC” check box. Running the creation wizard is plain sailing for anyone who has installed software on a computer. You can only use the installation media that matches your version of Windows 8.1 or 10, which can be the Home or the Pro version, which both come in 32-bit and 64-bit versions. For example, if your license is for 32-bit Windows 10 Pro, you can’t install 64-bit Windows 10 Home with it. You have to choose type of installation media that you want to create – a bootable DVD or a bootable USB flash drive. The installation media can be used to clean install Windows or you could install a virtual machine, such as Virtual Box, in Windows and then install the ISO image in it. For example, you could install Virtual Box in Windows 7 and then use the install media for Windows 10 to install Windows 10 in Virtual Box. That way you could test run Win10 in a virtual machine without having to install it separately in its own partition. The Windows 7 SP1 ISO image can also be downloaded from Microsoft’s website, but you have to verify your entitlement to it by first entering your Product Key. It has to be a retail licence; OEM licences, explained at the beginning of this article, are not valid. An OEM Product key has the letters OEM in it. Versions of Windows 7 prior to Service Pack 1 (SP1) are not available as an ISO image. Moreover, Windows Update will take a long time downloading and installing all of the updates that were made available after SP1 was made available. Alternatively, you can install the Windows 7 SP1 Convenience Rollup. You have to choose the language and whether you want the 32-bit or 64-bit version of Windows 7, then the download begins. The ISO image file, is burned to a DVD by right-clicking it in Windows Explorer – itself opened by right-clicking on the Start button – and choosing “Burn disc image”. To install Windows 7 SP1 from a USB flash drive, the Windows 7 USB/DVD Download Tool places the ISO file on to a flash drive. Always remember, if you create a system backup or system image on a regular basis, stored on an external hard drive that, for extra safety, should be detached from the PC, you won’t have to reinstall Windows, just restore the backup/system image. I prefer using the free version of Macrium Reflect than using Backup and Restore in Windows 7/8.1/10. Remember that you must create a rescue boot DVD or flash drive in order to be able to restore backups and images. Windows can create a repair disc or drive. Just enter the relevant term in its Search box to find the tool. Macrium Reflect has an option to create a recovery disc or drive. July 20, 2016 in Software Problems, Windows XP/Vista/7/8.1/10 Problems.